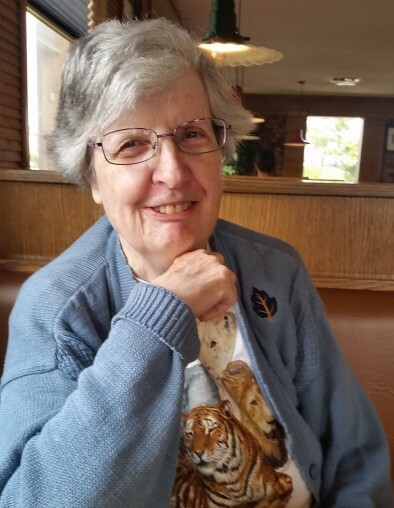 HAMILTON - Judith A. McCarthy, 77, slipped quietly from this life on the morning of January 4th, 2019 at Discovery Care Centre in Hamilton, following a brief illness. Judy was born in San Mateo, California, on August 1st, 1941, the second daughter of her parents, Charles and Kathleen (McCarthy) Hext. She and her older sister, Margaret (Peggy), were joined by Patricia (Clover), Paul, and Laurie. Her family moved numerous times during her father’s career in the Army, most notably two assignments to Germany from 1947 to 1949 and again from 1956 to 1959, exceedingly formative years for Judy. Upon graduation from Frankfurt American High School in Germany, Judy attended San Francisco State College for four years, and then, in 1963, answered the call from President John F. Kennedy, “Ask not what your country can do for you -- ask what you can do for your country.” She enlisted in the Army following her father who passionately loved his years in the Infantry. After basic training, Judy worked for several months as a journalist for the Army newspaper in New York City. This was to be the highlight of her work experience, as it gave her the greatest satisfaction and opportunity to express herself. In 1965, Judy was stationed in Frankfurt, Germany, where she met and married David Mikeska, also in the Army. Upon leaving Germany, the couple was assigned to Fort Sill, OK, and later to Killeen, TX. Upon the dissolution of her marriage in 1975, Judy returned to California to assist with family illnesses, and then, always willing to help those in need, she moved once more to Texas to aid a friend during her terminal illness. almost daily basis, at the Bitterroot Public Library, quite often playing Solitaire to while away the hours. She spent most holidays with her sister, Clover Quinn and family, and the two made numerous trips to visit family and friends and to view the scenic Northwest. Judy felt her primary purpose in life was to brighten the day for all she encountered, by a smile, an uplifting comment, or a word of encouragement. She loved to tell of her life’s adventures whenever she had an audience. Judy is preceded in death by her parents, Charles and Kathleen (McCarthy) Hext, and herbrother-in-law, John Parker. She is survived by her aunt, Ginny Nicarthy of Seattle; sisters, Peggy Parker, Clover (and Joe) Quinn, Laurie Hamilton (and Linda Mollino), and brother, Paul Hext; also numerous cousins, nieces, nephews, and great-nieces and great-nephews. A Funeral Mass to celebrate Judy’s life will be held on Tuesday, January 22nd, at 11:00 am at St. Francis Catholic Church in Hamilton, celebrated by Father James Connor. A reception will follow in the Parish Life Center, and everyone who ever met Judy is warmly welcomed. Interment of ashes will take place in the Riverview Cemetery at 1:30 pm, with military honors. Those desiring may send a donation to PBS in Judy’s name, or to the charity of their choice. Condolences may be left for the family at www.dalyleachchapel.com.